I feel it's the right time for me to try making a game all by myself (except for the engine part). This blog is about sharing my processes and experiences as I walk along the garage developper route. Hopefully, this will end up with an actual game : Invasion Aftermath, Mankind's Revenge! 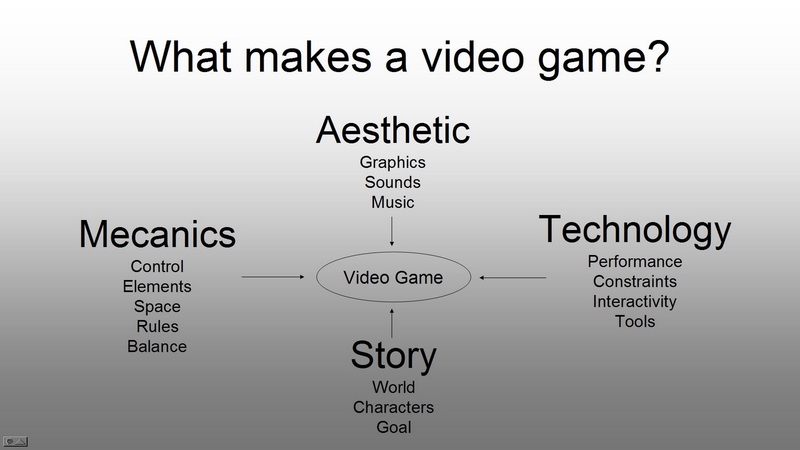 According to Schell, the four elements that will form the game are: Aesthetic, Technology, Mecanics and Story. As stated in my first post, I'll do the eye (ear) candy later. So I decide to postpone the aesthetic related decisions a little (including sound and music). I know from my experience I'll be able to handle all those aspects with no difficulties (apart from the immense amount of work to be done). Let's talk a little about some technology choices I need to make. My goal is to produce the game on as many different platforms as possible. FreshEngine (www.freshengine.net) is cross platform and cross generation, currently supporting PC, PSP, PS3, X360, with Vita in progress and Android and iOS at the blueprint stage. I however have to plan how to deal with the disparities in performances and graphic capabilities of all those platforms. Although I know my vision of the game will evolve with time, I need a starting point. That's why I'm using Zaxxon ( http://www.youtube.com/watch?v=toSxQ3QHaTc ) as a reference. That means controling a 'ship' in lage environments with a 3/4 top down perspective, shooting at enemies, avoiding traps, and dealing with 'height'. As I want the game to feature dozens of levels, I need some effiecient ways of building those levels, with the ability to quickly test a level within the game. I also need an abstract representation so I can edit a level once and automatically deploy it on all the platforms with their respective specialised assets. For instance, I want to be able to place a building in the map, and automatically deploy a low-def building on PSP and an hi-def building on PC. Also, to be honest, I have no idea how long making this game will take. Probably 2 or 3 years. Will it make sense to make a PSP version at the time? Probably not. Will it make sense to make a PS4-X720 version? Could be. The truth is I don't know. So I'd better prepare for them all. Finally, I need this representation to be compact as I plan the game to be distributed via digital distribution only. The idea is to edit the map using Tiled (http://www.mapeditor.org/), a free to use generic tile map editor. I use the 2d tiles to represent map elements in an abstract way. The map is then exported as xml file containing a reference to each tile and some other infos such as rotation, additionnal objets or items. At run time, when loading a level, the xml file is parsed and, depending on the platform, each tile is referencing a 3d object instance from a library that has been previously loaded into memory. There is one library for each platform, but it is only loaded in that particular platform, when the game starts. The libraries are created in Maya, and optimised for each major platform. Next posts, Mecanics and Story. I'm a veteran graphic artist and technical artist working in the videogames industry since 1986. During all these years I've had the chance to work with talented people on many projects and on various platforms. Some of the games I've had a significant contribution to and I'm rather proud of are: 'Never Outside' 1987, C64; 'Iron Lord' 1989, C64; 'Unreal' 1991, Amiga; 'Agony' 1992 Amiga; 'Ultimate Tennis' 1994, Arcade; 'Outcast' 1999, PC; 'Wild Water Adrenaline' 2005, Playstation2. I'm co-owner of Fresh3d, the company behind the FreshEngine game engine. I'm currently working as a consultant lead technical artist at AMA studios. 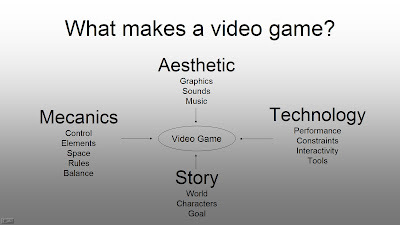 I'm also a visiting professor at the Albert Jacquard University College, where I teach real-time computer graphics for videogames. Today I'm freeing up some time to work on writing my own game. That is doing it all by myself (design, dev, art, sound and music). My goal with this project is to learn a whole new set of skills.